The weather was threatening to upset the day but in true British style we carried on with our plan to hold the fete outside. Although there was a cool breeze the afternoon was a huge success and enjoyed by residents, staff and visitors. The home baking stall as always was tempting us with such scrumptious delights. There was a chance to grab a bargain on the bric-a-brac and many old favourite games like hook-a-duck & splat the rat were on offer. New games were just as popular with hoop the octopus & roll a token at the whiskey. Of course we had the usual tom-bola and prizes were flying off the table as people picked the winning tickets. We also had visiting craft stalls with jewellery, make-up and pictures etc from Green Flamingoes. We would like to give a mention to the families that volunteered on stalls, thank you – Alanna & Trevor and Julie & George. Thanks also to Jane, Rose, Mavis & Elaine for giving up their free time and assisting with the stalls. Thank you to everyone who donated prizes for the tom-bola and the wine or water stall. We appreciate your generosity that helps to make these events so successful. 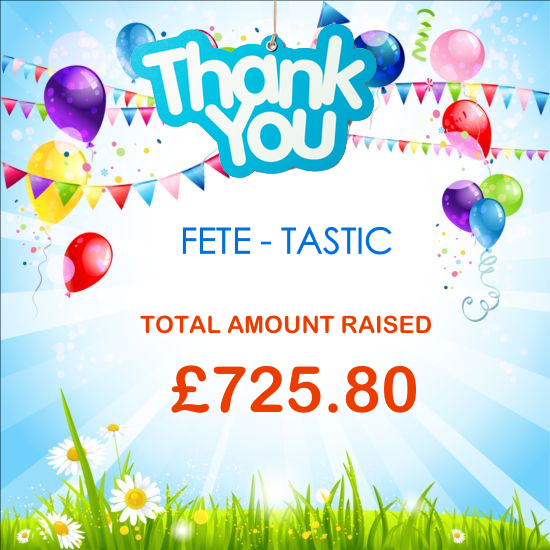 Well done Team W.P.V… with a late donation the total money raised was £725.80.